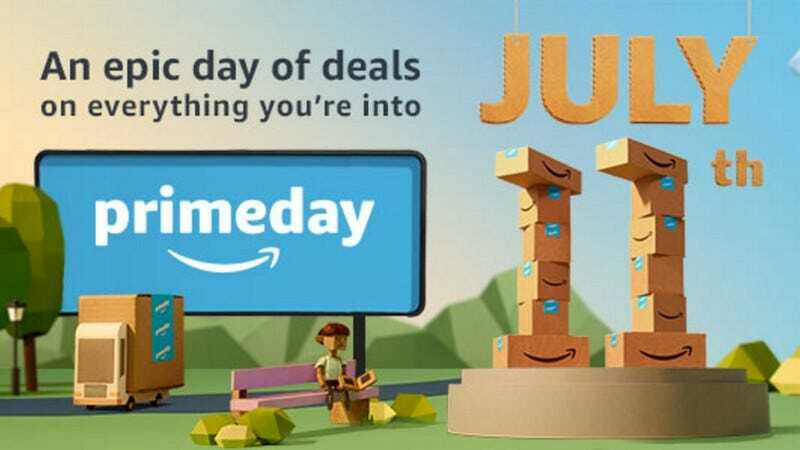 Mark your calendars, because Amazon’s third annual Prime Day is July 11, with the deals actually kicking off at 9 p.m. Eastern the night before. Of course, we’ll be sifting through the avalanche of deals to help you find the best stuff, but in the meantime, a few great digital discounts are already live on Amazon’s Prime Day hub page. The highlights here are six months of Audible for $9 each (rather than the usual $15), up to 40 percent off Kindle Unlimited subscriptions, and 15 percent off July 4 snacks. Again, these deals are available starting today, if you have a Prime subscription (sign up for a free 30-day trial here). The best early access deal of them all is undoubtedly four months of Amazon Music Unlimited for just $1. It’s only available for new members, but that’s the best deal we’ve seen on the service, which will still be less expensive than Spotify Premium ($8 vs. $10) after the promotional period expires. Inside, you’ll find a dozen deals on popular Logitech products to fit any budget, including the venerable Performance Mouse MX for $40, the solar-powered K750 keyboard, the $25 G230 headset, and the C922x webcam for an all-time-ow $50, which can dynamically remove the background of your room. These USB batteries aren’t packed with the latest and greatest features, but they do have some of the best price-per-mAh ratios we’ve seen. The smaller of the two has an LCD screen that displays your precise battery level, while the larger Aukey includes a Lightning input for iPhone owners. In addition to yesterday’s deal on The Wrath Of Khan, you can also get all three rebooted Trek movies for just $18 today, including the best Star Trek movie of all time, 2009’s Star Trek.